Upcoming activities at Columbiana Library. Call 205-669-5812 for more information. Wed., Dec. 13 - Classic Movie & Popcorn- "Christmas in Connecticut", 2 p.m.
Friday, Dec. 15 - Homeschool Movie and Pizza - "Nestor, the Long Eared Christmas Donkey" - 2:00 p.m. All Welcome! Mon., Dec. 18 - K-3rd Book Group - "One Cozy Christmas" 10:30 a.m.
Wed., Dec. 20 - Legos - Come and make your own creations - We provide Legos. Thurs., Dec. 21 - Friends of the Library Children's Program with Mr. and Mrs. Clause 3:30 - 4:30 p.m.
Fri., Dec. 22 - Popcorn and Christmas Movies - 10 a.m. - 4 p.m. Sat., Dec. 23 - Kids Christmas Crafts - 9 a.m. - 12:30 - Come and go. Self - directed crafts will be set out for children to do. 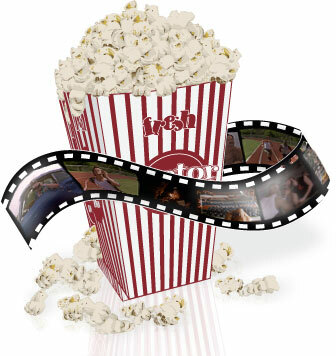 Wed. Jan. 10 - Classic Movie and Popcorn - "Bend of the River" 2 p.m. Thurs., Jan. 18 - Friends of the Library Children's Program and Craft - 3:30 - 4:30 p.m.
Fri., Jan. 19 - Homeschool Movie and Popcorn - "The Incredible Mr. Limpet", starring Don Knotts 2:00 p.m. Sat., Jan. 20 - Lego Day - 10 a.m. - 12 noon - Come and make your own creations. We provide Legos. Mon., Jan. 22 - K-3rd grade Homeschool Storytime - "The Circus Ship" Time TBA - If a different time other than 10:30 a.m. would work better, please call and let us know.